Judges for a debut mystery-writing contest sponsored by Minotaur Books and the Private Eye Writers of America chose Alaric Hunt as the winner, unaware that he had been in a South Carolina prison for the past 25 years serving a life sentence for murder. The award comes with a $10,000 advance and a guaranteed publishing contract. 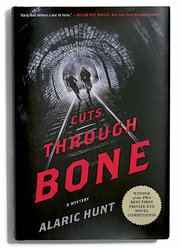 Working at the prison library in a maximum-security facility, Mr. Hunt hasn’t seen the outside world since the age of 19, and used episodes of Law & Order to describe the New York setting of his novel Cuts Through the Bone. Author S.J. Rozan, who served as a judge, said: “The manuscript felt very accomplished. He clearly knew how to tell a story. The language and dialogue were fantastic.” Read more of this NPR story here. 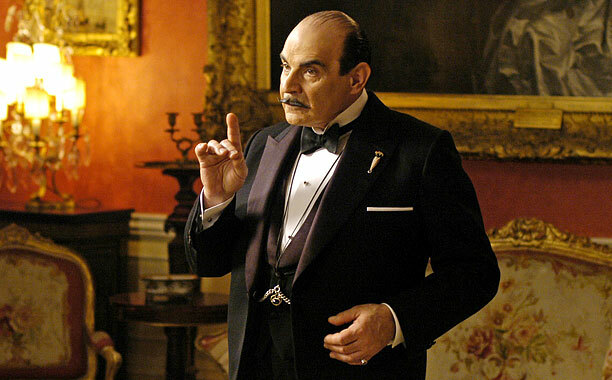 Agatha Christie’s estate and HarperCollins plan to publish a new Hercule Poirot mystery next fall. British author Sophie Hannah has been commissioned to write the new Poirot 93 years after he was first introduced in The Mysterious Affair at Styles. The Belgian sleuth was killed off in the final Poirot novel Curtain published shortly before Ms. Christie’s death in 1975. The new book will be set in the late 1920s, but will not feature Poirot’s friend Captain Hastings. In a statement, Ms. Hannah said: “It is almost impossible to put into words how honored I am to have been entrusted with this amazing project — in fact, I still can’t quite believe that this is really happening! I hope to create a puzzle that will confound and frustrate the incomparable Hercule Poirot for at least a good few chapters.” Read more in this article. And check the EPL catalog for other works by Agatha Christie. ﻿Hail, Santa, King of the Elves! Gift wrapped from McSweeney’s comes this clever collection of letters to Santa written by Shakespeare characters including Hamlet, Ophelia, Macbeth, and Falstaff. Who new Romeo and Juliet were such big Taylor Swift fans? The life and works of reclusive True Grit author Charles Portis are examined in this fascinating NY Times feature. As the Coen brothers’ readapt his masterpiece for the screen, learn why the western writer might just be the most original talent overlooked by American literary culture. The origin of the mystery writing cliche “the butler did it” is traced by the Guardian to an obscure 1930’s English novel. Is it possible that Jeeves and his colleagues aren’t the bloodthirsty maniacs we’ve assumed them to be? Audiobook super-narrator Scott Brick tells the touching Christmas tale of how vaudeville comedy, vinyl 78’s, and his great-grandfather Jim inspired his chosen career path.